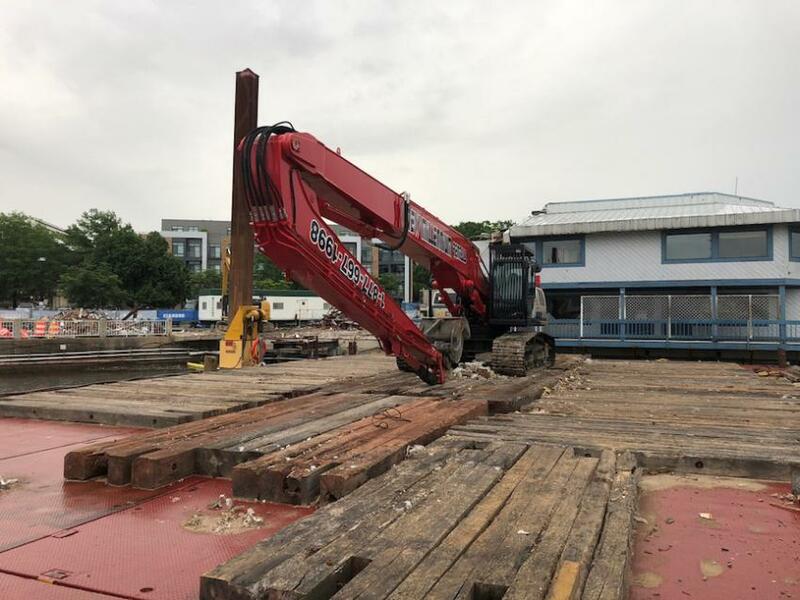 In June, Cianbro Equipment rented a Link-Belt LBX 350x4 60 ft. high reach excavator from New Millennium Rentals. The challenge was that the two-story building was out on a pier. 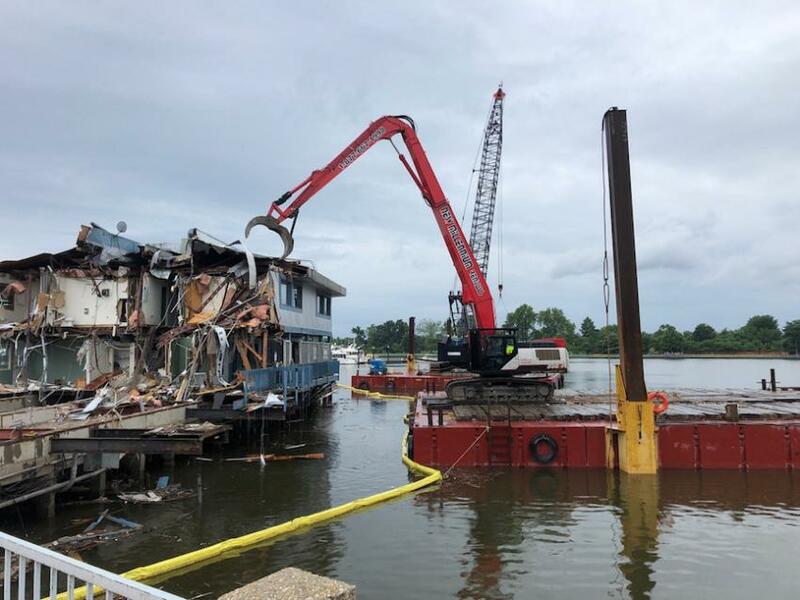 Part of the building could be reached from land but none of the equipment could be on the pier due to weight restrictions. NMR provided an LBX 350x4 excavator with a custom designed 60-ft. HRD front. This machine provides the perfect blend of size and versatility. It has 60 ft. of reach and yet it can be hauled without removal of the stick and boom. 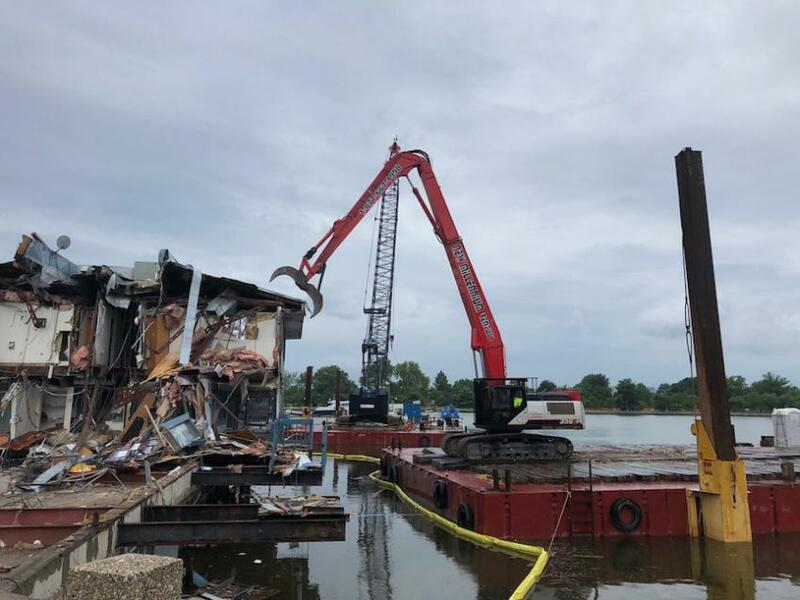 This project required using a demolition grapple to demolish the building, however this excavator has full auxiliary plumbing to run a full array of third member hydraulic demolition attachments. For more information, call 877/667-1998 or visit newmillenniumrentals.com. 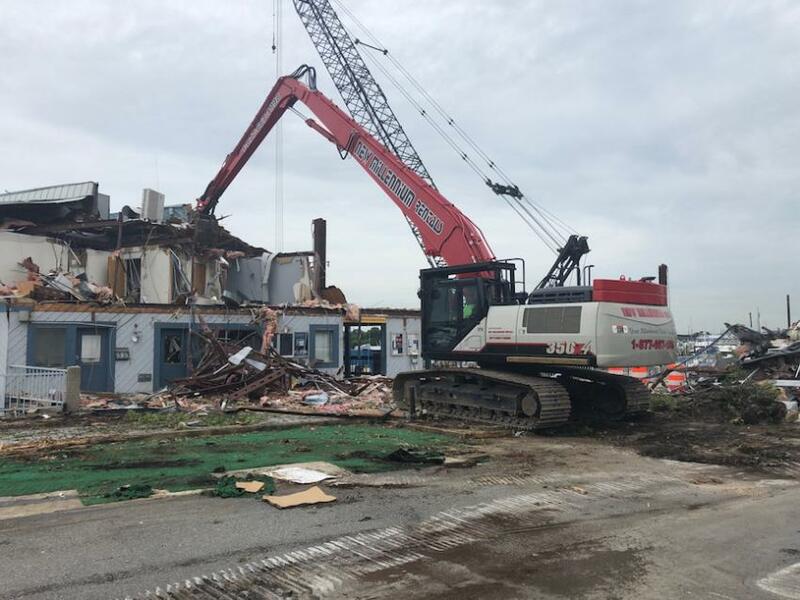 In June, Cianbro Equipment rented a Link-Belt LBX 350x4 60 ft. high reach excavator from New Millennium Rentals. Cianbro’s challenge was that the two-story building was out on a pier. 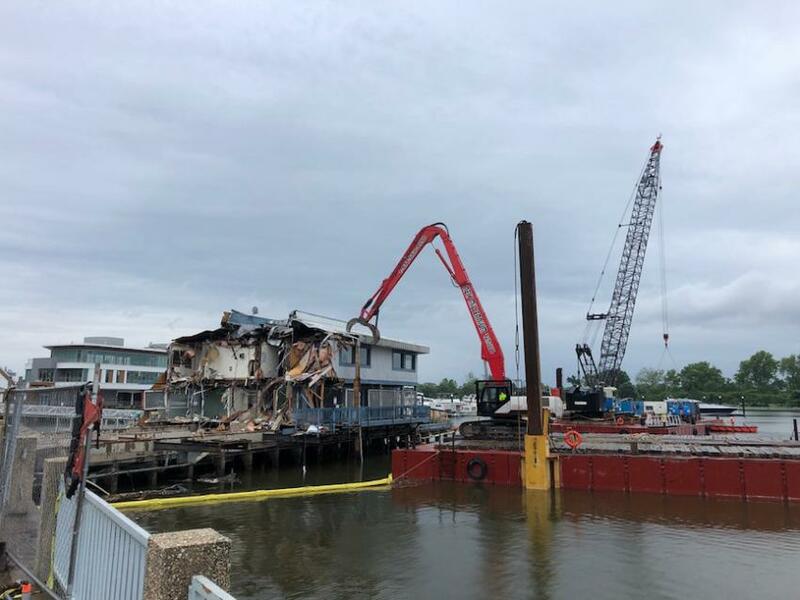 Part of the building could be reached from land but none of the equipment could be on the pier due to weight restrictions. New Millennium Rentals provided a Link-Belt LBX 350x4 excavator with a custom designed 60-ft. HRD front. 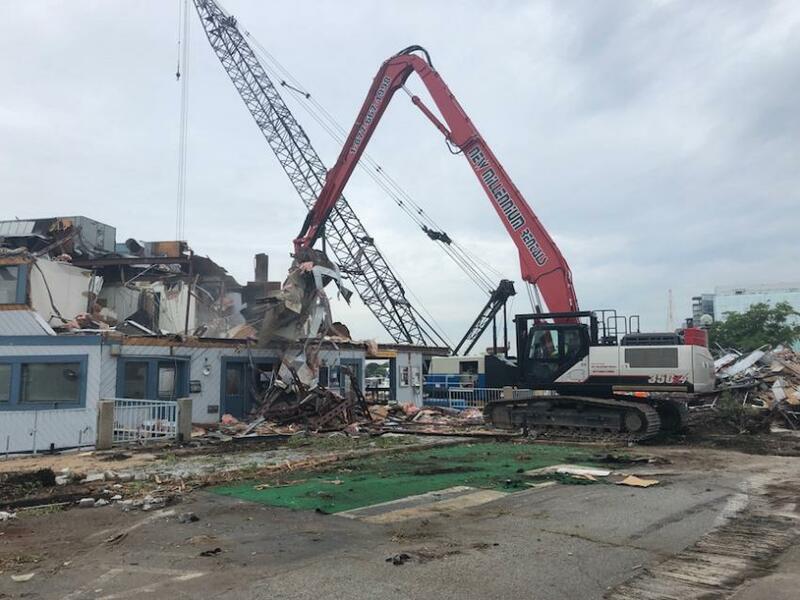 This project required using a demolition grapple to demolish the building. This machine provides the perfect blend of size and versatility. It has 60 ft. of reach and yet it can be hauled without removal of the stick and boom. Cianbro Excavators Link-Belt New Millennium Rentals, Inc.